CONCORD, MASS.- August 22, 2012 – After months of closed beta testing with thousands of players, Stomp Games today announced that they have opened their sci-fi themed Action RPG for Facebook to the public. Striving to elevate the quality bar of browser games to console production levels, and increase the appeal to a wide range of players, Robot Rising combines the best of premier game development talent with world class online gaming know-how for an approachable and addictive experience. PARIS – August 16, 2012 – Presented for the first time at Gamescom in Cologne, Germany (where Farming Simulator is, more than anywhere else, a colossal success), Farming Simulator 2013 unveils its first video teaser today! PARIS – August 16, 2012 – Mars: War Logs, the action RPG developed by Spiders for Xbox LIVE, PlayStation Network and PC, has been unveiled today with a video! Mars: War Logs offers a wide variety of quests, dynamic tactical combat, and extensive character specialization through different skill trees and a complete craft system. PARIS – August 10, 2012 – Released in early 2012, Wargame: European Escalation by Eugen Systems became the new benchmark in real-time strategy games, praised by critics and players alike. Today, its sequel, Wargame: AirLand Battle, has been unveiled for the first time in this teaser video. Planned for released in 2013, Wargame: AirLand Battle will bring the series to a brand new dimension. Today’s video gives a glimpse of the spectacular new features to come! LOS ANGELES – August 9, 2012 – SGN, a leading developer of cross-platform games, today announced that its hit Facebook game Bingo Blingo is now available for iPhone, iPad and iPod touch. With Bingo Blingo mobile, those that have come to love the Facebook game can now enjoy playing without being tethered to their computer, allowing the same great experience with their existing social circles. Already listed by AppData as one of the fastest growing titles on Facebook, Bingo Blingo’s power-ups, achievements and team-enabled gameplay add a whole new twist to the classic game of bingo. Download Bingo Blingo now from the App Store for free at http://itunes.apple.com/us/app/bingo-blingo/id542781249?ls=1&mt=8, or play on Facebook at www.facebook.com/BingoBlingo. One of the most popular flash games makes its way onto mobile devices! NEW YORK – August 2, 2012 – Armor Games, creator and publisher of fun mobile games such as Kingdom Rush and Follow the Rabbit, are pleased to announce that Flight is now available for iOS devices worldwide. With over 55 million plays, Flight is a Flash game created by Armor Games in which players throw paper planes as far as they can while collecting points to upgrade and decorate their aviation machine. The new iOS version is almost like a sequel: beautiful Retina display graphics, more upgrades and power-ups and a brand new ending to the original story. 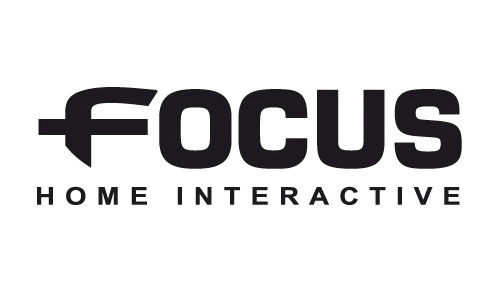 QUEBEC CITY – July 31, 2012 – Frima Studio, Canada’s leading independent game developer, today announced that Lights, Camera, Party! will be released on August 28. Powered by the Unreal Engine, this fast-paced, motion-controlled party game will be available for download on the PlayStation® Network for $29.99. PARIS – July 27, 2012 – Of Orcs and Men, the grand role-playing game, developed by Spiders (Direction and Development) and Cyanide (Concept and Production) for PlayStation®3, Xbox 360® and PC, unveils a series of four new in-game screenshots today!